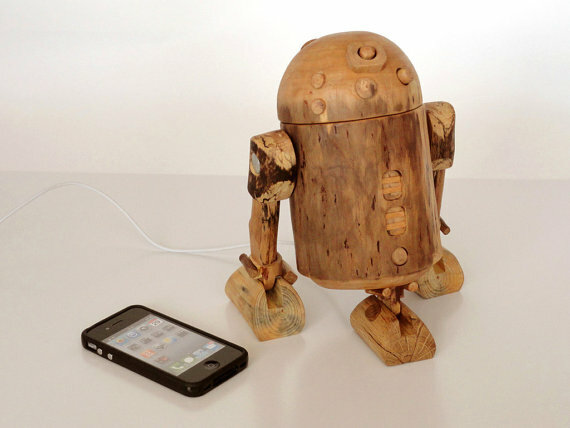 R2D2 iPhone dock: a wooden dock made for your iPhone and iPod. It looks great as a wooden sculpture too. 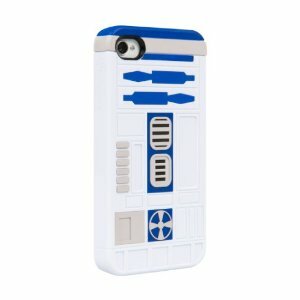 POWER A Star Wars R2D2 Case: an officially licensed Star Wars case for iPhone 4S. It securely snaps into place and protects your phone. 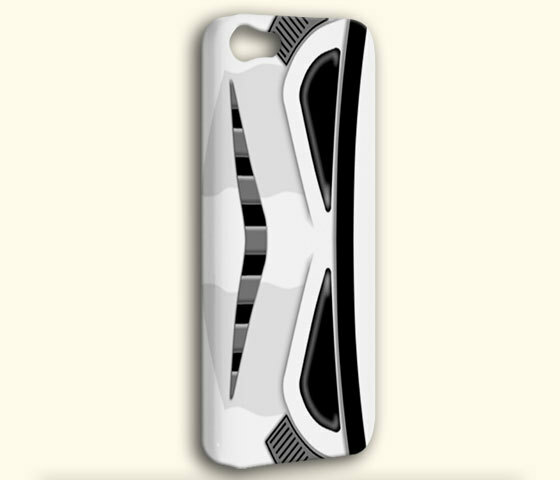 Star Wars Stormtrooper: this is a hard-shell case for your iPhone. The case covers the back and corners of your phone. 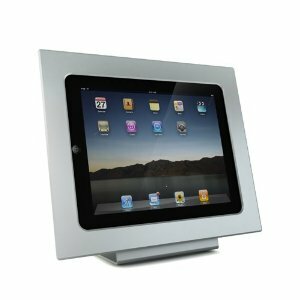 The image is printed using crystal clear enamel coating. 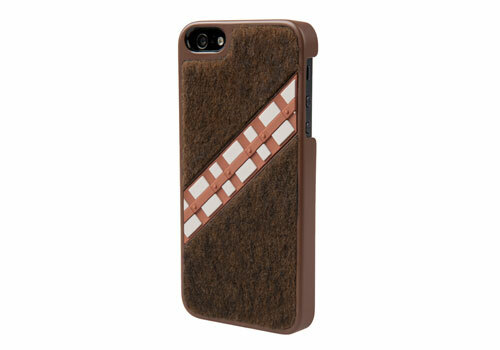 Star Wars Chewbacca Case for iPhone 5: another cool case for Star Wars fans. This hard shell case is compatible with the iPhone 5 and is officially licensed. 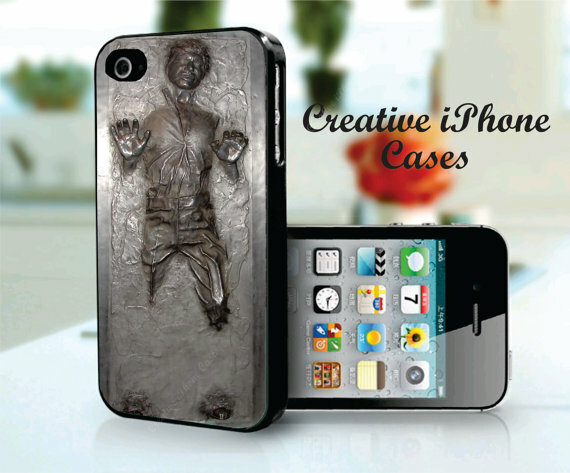 Han Solo Carbonite Case: a form-fitting case for the iPhone 4S. It is made of hard plastic. Darth Vader Case: an elegant case for Darth Vader fans. 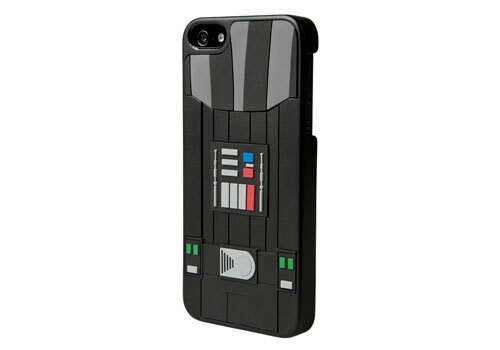 This hard shell case takes your iPhone to the dark side. 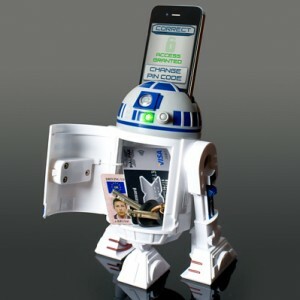 R2-D2 Interactive Bank: you can use this to store your belongings. The safe can be unlocked with your iPhone. It is not the strongest safe around but looks geeky. Which one are you impressed with the most?